Horizon Zero Dawn released last month on 28th March as exclusive to PlayStation 4, PlayStation 4 Slim and PlaySatation 4 Pro. I took time to enlist 10 insane details in Horizon Zero Dawn which will surely blow your mind because details matter, So it’s time to give attention to amazing details in Horizon Zero Dawn. 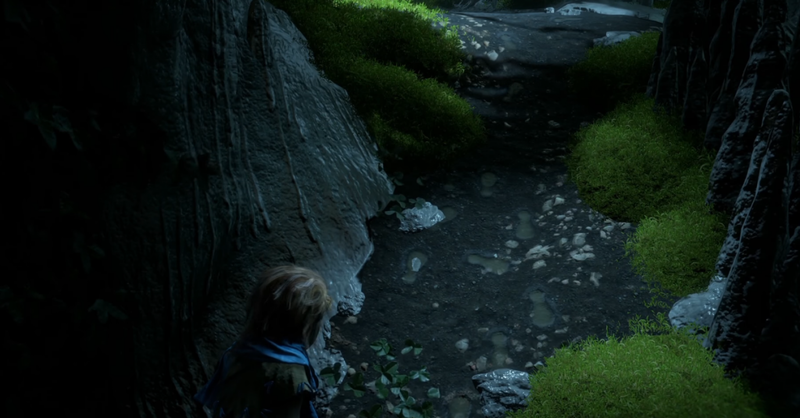 We have played lots of games in which we noticed lots of details and foot prints are one of them, but to be honest foot prints in Horizon Zero Dawn are more visible than other games except Uncharted 4. From the above video you can clearly see foot of ALOY from the start of the game and then in later in the game. At the start of the game Aloy seems to be 6 years old as in the above video, she is 6 years and she moves like 6 years old kid like in the walking up on the stairs, she uses her hands first and then her legs, Guerilla games put their efforts in the right way to show in depth details of the character. 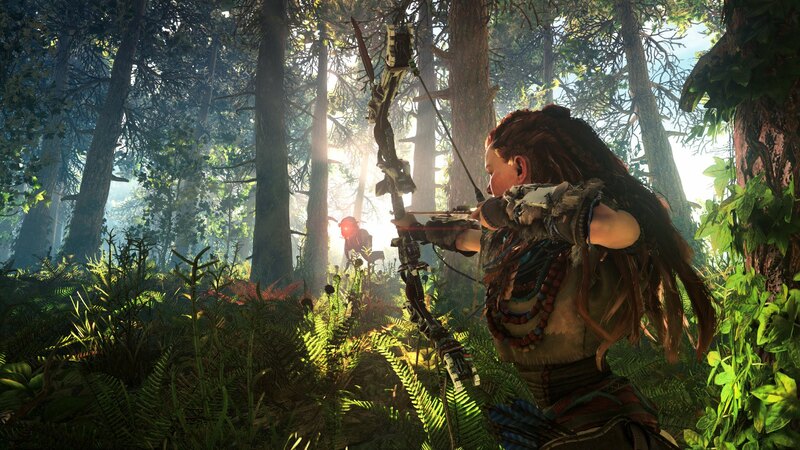 One of the main details that everyone can notice is stealth movements in the bushes, either its simple bushes or plants, whenever ALOY, watchers or anyone move within bushes, the bushes will start moving according to the character movements. Right after the swimming ALOY reaction is totally natural, she tries to dry her hands and feet in a natural way that no one can miss while playing the game. Dust is everywhere in Horizon Zero Dawn, so if you sprint ALOY you can’t really appreciate the Dust in the air, but during sprint if you press Square that will slip ALOY and you will notice clearly the dust in the air due to her slip on the ground. After some missions in the game when you move to the Carja Palace to the Sun God, there when you move between the guards they will get attention and pay you honor and when you pass away, they will relax again and if you again move through them they will get attention and pay you honor, because of your help toward the Carja tribe. Whenever you tame any horse or robot (like Boadhead in the above screenshot) to ride on, you can put that on auto pilot if you keep your ride on track and leave every button but just pressing ‘x’ will keep your ride on the track (like horse autopilot in Witcher 3) which also includes turning, no need to stear the analog stick. 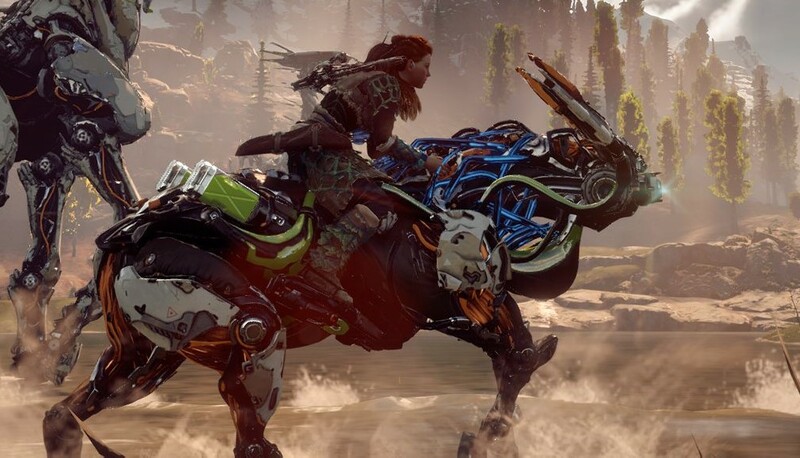 So these were the 10 insane details in Horizon Zero Dawn that you already know now and I hope you will try experimenting them while playing the game. Do tell us in the comment section below, what do you think about the game.